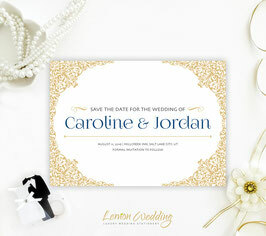 Tell your guests exactly when you’ll be getting married with our chic Gold Wedding Save the Date Cards. 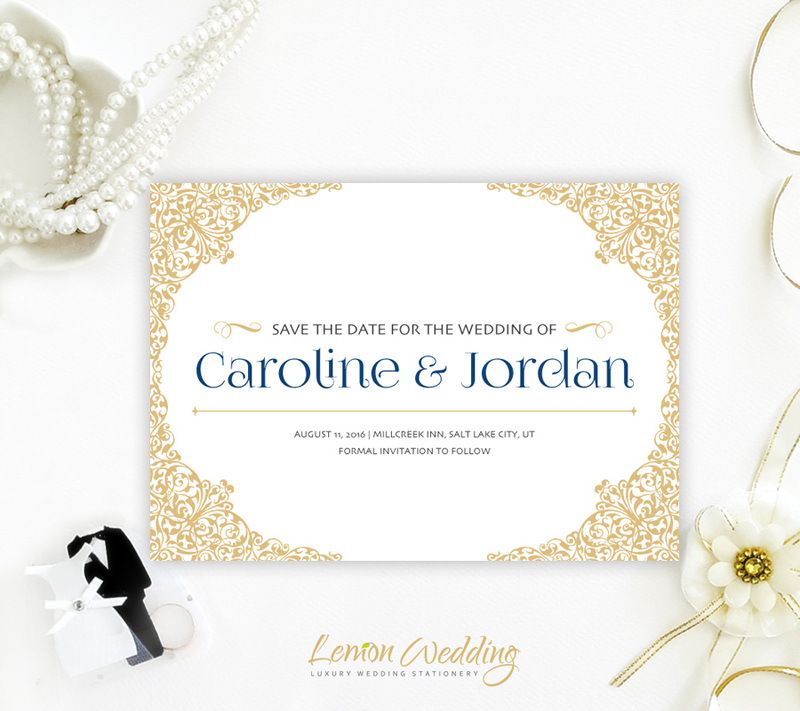 With a lovely ornate border in glimmering gold, our Save The Date Cards are ideal for an elegant wedding. Printed on premium shimmering white card stock.